‘Cats’ is getting the Big Screen Treatment! It was only a matter time right? Due to the big success of 2012’s ‘Les Miserables‘, which earned Oscars, it’s only fitting that one of the biggest and longest running Broadway musicals would get the big screen treatment. Yes, ‘CATS‘ is coming to a movie theater near you with Tom Hooper directing. Hooper did indeed direct the 2012 ‘Les Miserables‘ and more recently ‘The Danish Girl‘, which also earned some Oscar wins. Hooper will also produce the movie for Universal Pictures. Coming at no surprise, Broadway is bringing back ‘CATS‘ to the stage soon as a revival and to renew interest for this upcoming film, which was originally done by Andrew Lloyd Webber, which in turn was based on ‘Old Possum’s Book of Practical Cats‘ by T.S. Eliot. 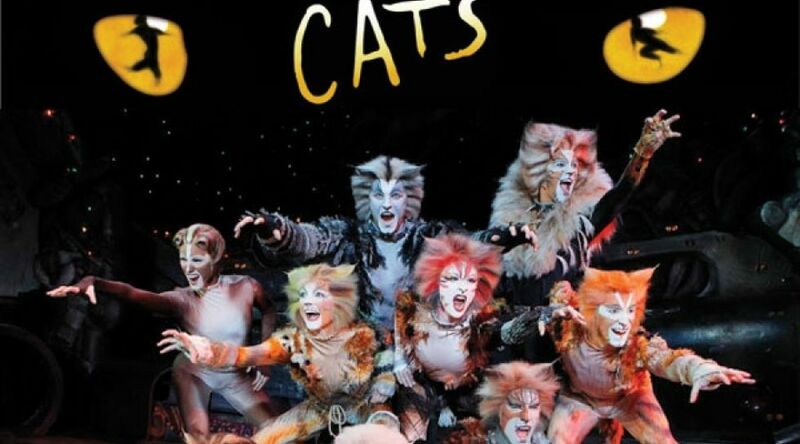 If you’re unfamiliar with ‘CATS‘, the play debuted in 1981 and followed a ton of cats called the Jellicles, who all come together for a yearly event where one cat is chosen to be reborn a new. You probably have heard the famous song ‘Memory’ from the musical. I expect an A-List cast here, as this will probably be nominated for a ton of awards come award season, after the movie releases. I’m also curious to see if Hooper keeps with the same style in having the actors actually sing their parts on screen, rather than dub them in post production. It will be interesting to see, as well as if he uses any CGI to create the cats. More info to come. Seems Like The Long Awaited “Les Miserables” Musical Film Has Found Its Oscar Winning Director!!! School of Rock Adapted To Series for Nickelodeon!!! Wolverine Might Lend His Claw To ‘Les Miserables’?!?! This entry was posted on Friday, May 6th, 2016 at 10:04 am	and is filed under Film, News. You can follow any responses to this entry through the RSS 2.0 feed. You can skip to the end and leave a response. Pinging is currently not allowed. « The ‘Powerman 5000’ Experience!